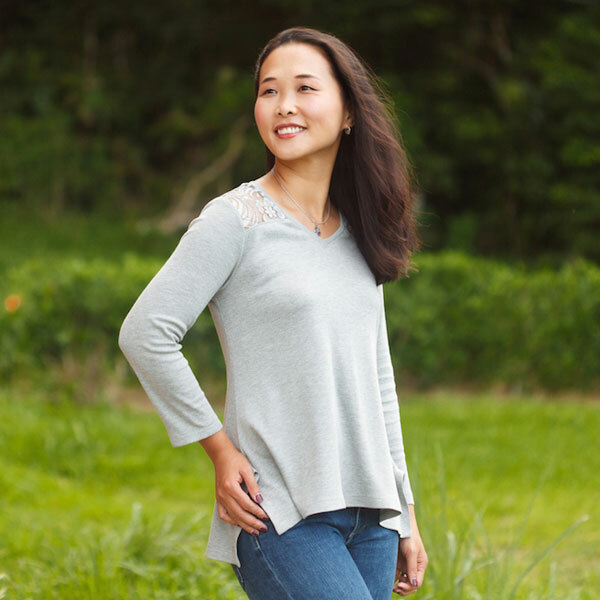 Featuring a curved V neck and front yoke, the Arenal Top is a knit top fitted on the shoulders and arms with two bodices and hem options. 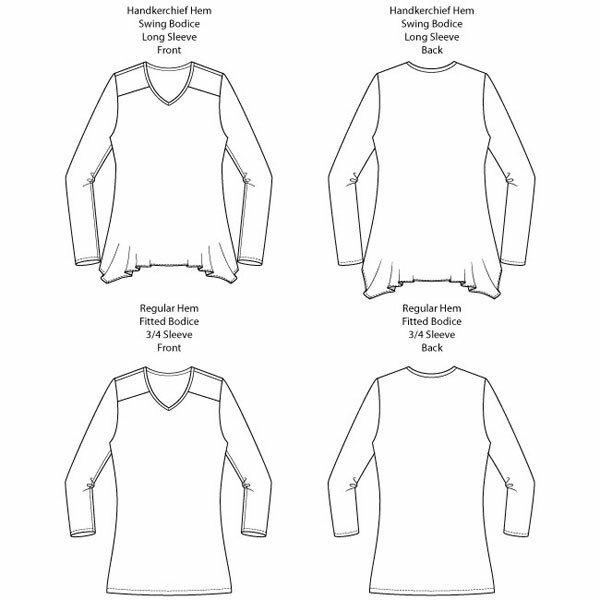 You can venture into the swing bodice with a subtle handkerchief hem, or stay with the fitted bodice and the regular hem. Better yet, why not make one of each? 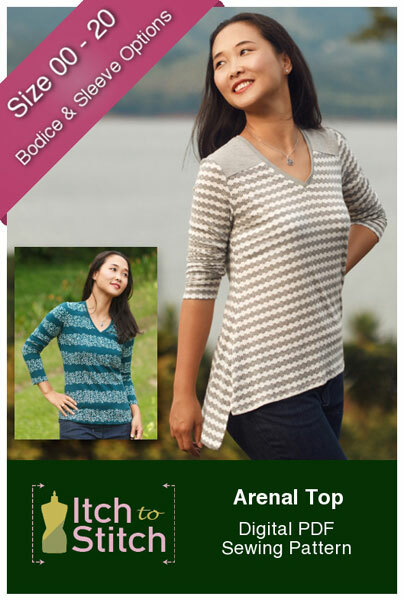 The Arenal Top also comes in long and 3/4-length sleeves! 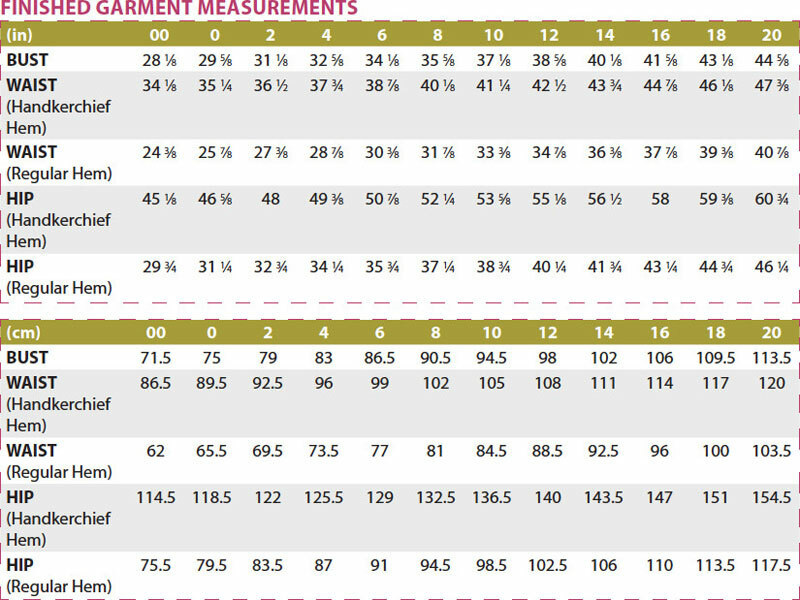 Primary Fabric: Use light to medium-weight knit fabric with at least 100% horizontal stretch and 30% vertical stretch. Jersey, viscose knit and stretch velvet with some drape and recovery are good choices. If using a fabric with more or less stretch, you may need to choose a smaller or larger size respectively. 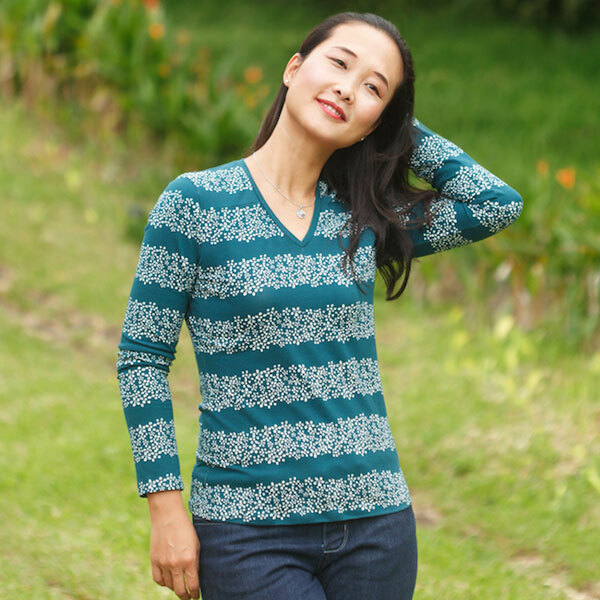 If using an extremely drapey knit, such as rayon or bamboo knit, you may need to go down a size and possibly stabilize the neckline with knit fusible interfacing. Avoid very structured knits. Do not use woven fabric. 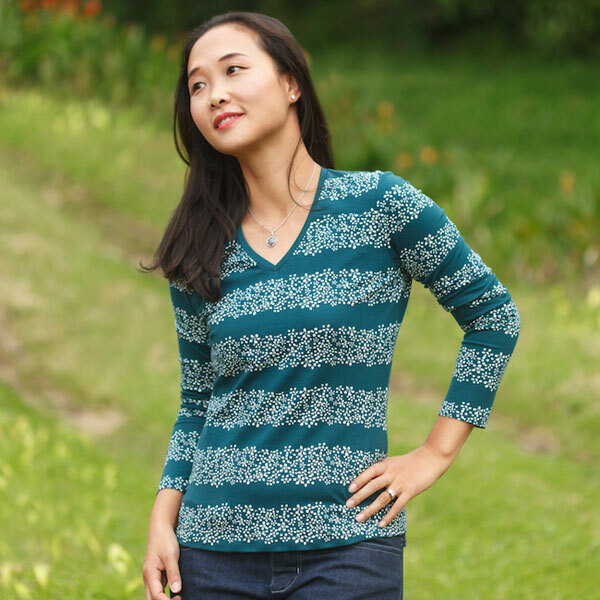 Contrast Fabric: Use light to medium-weight knit fabric with similar stretch as the primary fabric. Alternatively, you may also use the primary fabric as contrast. 16" (41 cm) of 3/8” or 1/2” (1 cm or 1.25 cm)-wide straight fusible stay tape (or you may cut your own using lightweight woven fusible interfacing on the straight grain).